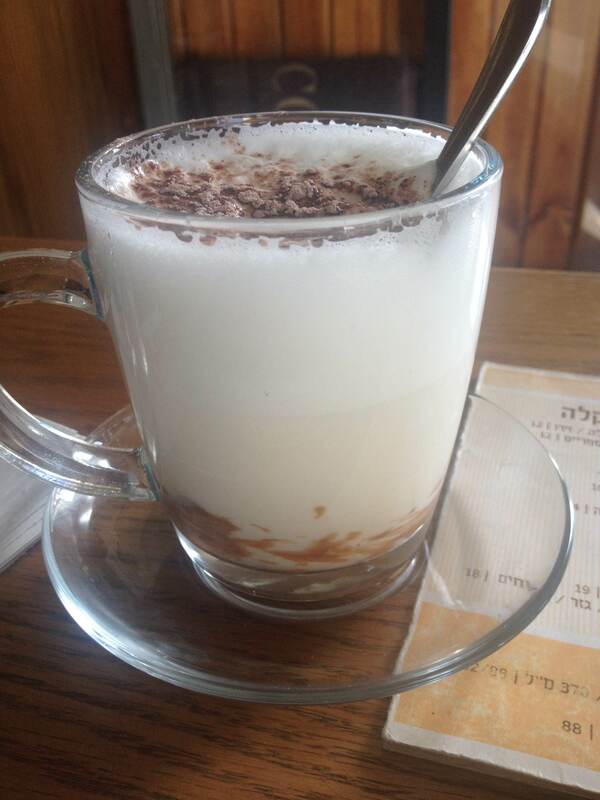 The Trumpledor Café at 7 Bezalel Street in Jerusalem is not exactly new—it was established 44 years ago by the current owner’s parents. Back then, the small cafe sold only its signature burekas (a traditional pastry filled with either cheese or spinach). Then ten months ago, Nili Deutsch and her son Gil decided to take over and expand the menu. “I was a teacher for 32 years and the principal of a high school,” says Nili. This is her second career as owner of the café. 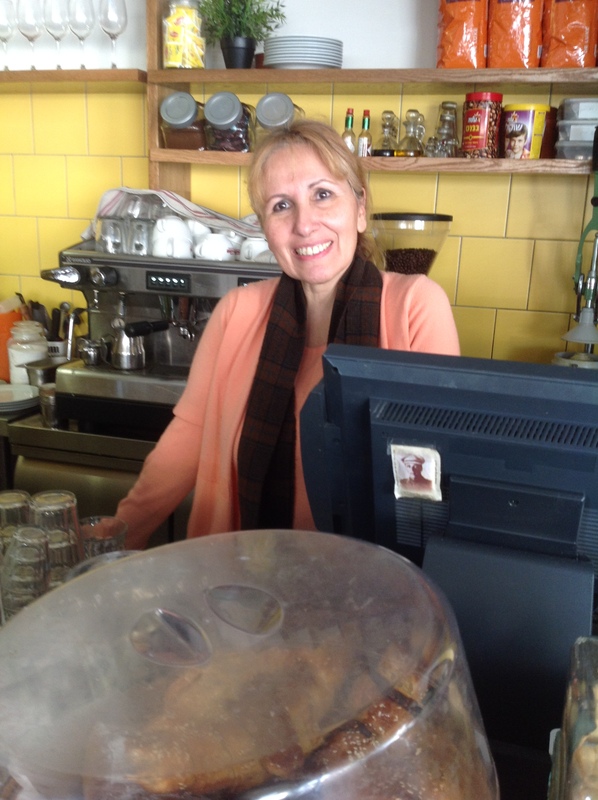 “I decided that I wanted to be here in the family business.” The family aspect is what sets Trumpledor Café apart from other cafes. Because it has been owned by three generations of a Jerusalemite family, it offers a very relaxed, friendly, “mom-and-pop” atmosphere. It’s a place where Nili truly makes people feel at home. With the help of renowned Chef Lior Peretz, Nili and Gil have added a full menu of breakfasts, salads, pastas, pizzas and desserts. Their menu changes seasonally; in the winter they offer original soups, such as lichen and Persian, which are both very popular with customers. On Wednesdays, at 6:30 p.m., the café hosts a Talk Café for people who want to learn and practice speaking English. Once customers experience the cozy, intimate atmosphere of the café, they often return. “They come back because we know all our customers, we know their names. We talk about their problems, our problems—there is a lot of emotional feeling between us and the customers.” Indeed, Nili and her employees greet many customers with familiarity, and it is easy to see how personal connections can quickly develop. Twice a week in summer and once a week in winter, a singer comes to the café to perform live music. In the winter, this takes place on Wednesdays at 8pm. Their goals for the future include maintaining and building their current customer base. 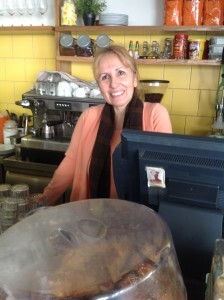 “I feel that our special corner location is truly blessed,” says Nili with her warm smile.